Filming on the fifth and final season of FOX’s “Gotham” is wrapping up and with it comes a time for the cast to say goodbye to each other. “Today marks the very last time I will work with this man on Gotham. It’s hard for me to know what to say. Sometimes I feel like Sean knows me better than I know myself. He always knows what I’m thinking and feeling, always making sure I’m ok, which I think is a testament to how close our relationship has been over the last third of my life. Additionally, the cast has assembled for one last publicity photo together for the new season. TV Line published the shot which limits the casting to series regulars that have been there from early on. 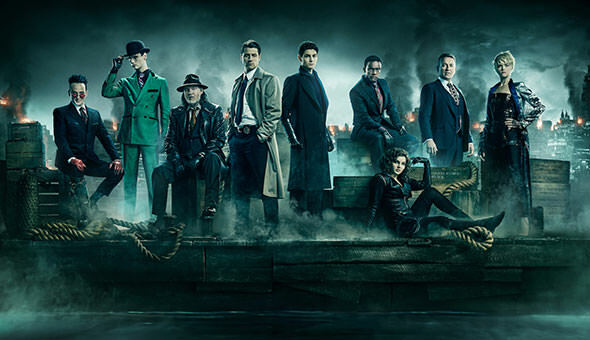 “Gotham” will return to screens January 3rd.